To do more has always been an advantage. In the supply chain, our customers purchase raw materials and products from suppliers, which they then process and assemble at one or more production locations. In between the goods are transported and temporarily stored in modern service centres before the end products are finally delivered to the customer and sold. We manage the main functions in this supply chain for you. But this not only involves the transportation of your shipments and storage of your products. In the field of warehouse logistics processing we see ourselves as a customer-driven service provider. We collect the shipments and check their identity and quantity. The packaging is also inspected and checked for any damage. After the physical collection the shipment is booked into our incoming goods system and then stored at the appropriate place in the warehouse. At the respective time you notify us when you need the parts in your production and we process your request just in sequence. This means we deliver the right quantity of your parts at the right moment to the right place to ensure high process efficiency. Today there are already processes where customer employees no longer have to physically handle the goods before the first production step. That means that we as a service provider are responsible for measures in preparation for production right up to the insertion in the machine. Our customers have a tight schedule. When we process shipments we clarify all the shipment details with your supplier for you. 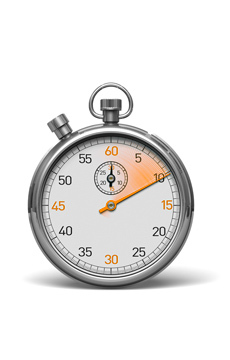 We co-ordinate delivery times and quantities. If there are any deviations, we inform you as quickly as possible and consult with you to define the appropriate action. When the shipment is in transport we can advise you at any time of the exact location of your shipment. In addition, we handle all the required documentation and formalities (customs clearance) and make special transport arrangements in urgent cases. An art we have mastered. What happens when it snows on the Brenner pass on the border between Austria and Italy? Or, perhaps there is a strike in Italy? Our customers demand more from us than just the ability to transport goods between Germany and Italy. Information is the resource of the future. Thanks to modern IT technology we are able to trace your forwarded shipments. This in turn gives us a planning advantage which we are happy to pass on to you. This is because today actions are defined by the hour. Our expertise can influence the smooth running of your production lines and your production volumes. 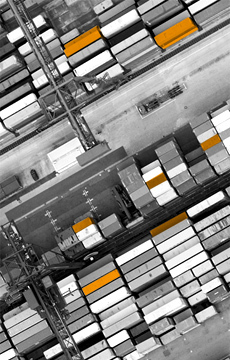 How are complex logistics processes managed? 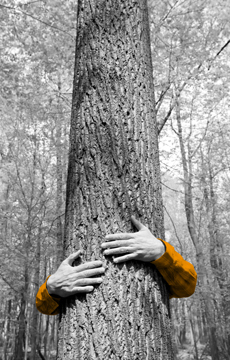 It's simple: you entrust us with access to your SAP system. We enter the system, create links and then know your exact requirements. When, why, and how soon. We have already contacted the supplier before the order has even been printed. All the listed services are provided by a group of closely connected companies. This includes the company Svevatrans Srl in Brixen and the company Svevalog Srl in Modugno. Wir arbeiten ausschlie�lich nach den Allgemeinen Deutschen Spediteurbedingungen (ADSp) und - soweit diese f�r die Erbringung logistischer Leistungen nicht gelten - nach den Logistik-AGB, jeweils neueste Fassung. Ziffer 23. ADSp beschränkt die gesetzliche Haftung f�r Gütersch�den nach � 431 HGB, f�r Schäden in speditionellem Gewahrsam auf 5 Euro/kg; bei multimodalen Transporten unter Einschluss einer Seebef�rderung auf 2 SZR/kg sowie darüber hinaus je Schadenfall bzw. -ereignis auf 1 Mio. bzw. 2 Mio. Euro oder 2 SZR/kg, je nachdem welcher Betrag h�her ist. Erf�llungsort und Gerichtsstand ist Ludwigsburg. DIN ISO 9001. Bare figures mean nothing when the required quality management is not actually implemented. Yet we go even one step further: we have our company regularly assessed. We stand for unlimited customer service. And our environmental system also gives relief to people we have no contact with. This is because we transfer a part of our transported freight from road to rail, which helps to protect the environment. The legislator and our customers expect us to transport goods throughout Europe in an environmentally-friendly and cost-effective manner. As a forwarding agent and logistics provider, we take care of everything after the customer has passed on the goods to us. Companies which place orders with us do not need to worry about the packaging. We procure the reusable packaging. We provide door-to-door pick-up and delivery for your goods. From the start to the end of the transportation. 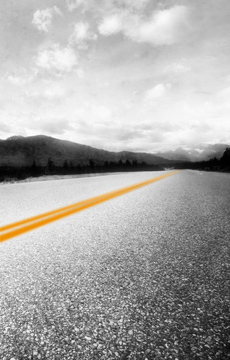 We carefully pack and transport your freight to the location and position. The goods are unpacked at the destination, commissioned and partly placed directly into stock. The use of reusable packaging conserves natural resources. There are also no costs for disposal. At our large locations in Italy we use washing machines to clean the packaging immediately after use. 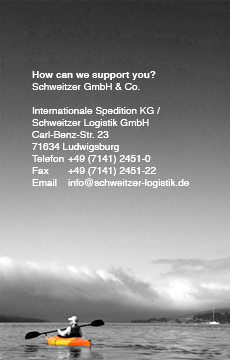 Transport security and high quality are always arguments to send your shipments with the Schweitzer company. The world of tomorrow is our concern. Our service fills the gaps. The configuration and dimensioning of new freight handling concepts result in a substantial reduction in transportation costs for you over the whole procurement process. This is made possible by improving the volume of goods loaded without compromising product security. The invoicing for packaging is made on a rental basis. The return of empty goods from the production (trailers with empties), the cleaning and the commissioning for the return to the supplier and the organisation is made by our company. This makes the process easier for you. There is no such thing as an emergency. Only when it happens. In our field of business nobody wants to maintain an unnecessarily high volume of goods in the supply chain. This is because stocks cost money. As well as that, global markets today are sensitive and volatile. Today less, tomorrow more. But what happens when the production suddenly has to be ramped up and certain production parts are missing? Cancel orders? This is where we come into play. In emergencies we are available with our own vehicles and drivers instantly available to guarantee a 100% supply of parts to plants. We know from our own experience how important this is and therefore we rely on our own personnel and transporters. This means we can operate independently from sub-contractors. With us your goods are in safe hands. 75% of the goods are managed by our own fleet of vehicles. The rest is transported in an environmentally-friendly way by rail which helps to reduce traffic on the roads. We consider other people. We think in advance. We are always there for our customers. From the past until the present day. When our company was founded by the first generation in 1965, at first glance there was no indication of the visionary power of today's company. But at second glance indeed there was. Our founding father was a sawmill foreman in the Schw�bische Alb hill range. He realised early on that wood alone would not be enough. Therefore he set up a haulage company to transport the wood at a profit to the respective processing companies. And today, in the second generation, we are not content to merely transport products. 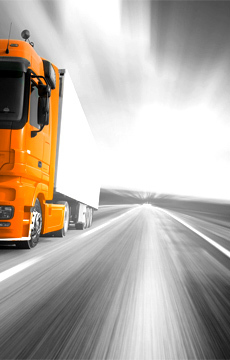 We supply our customers with complete logistics and service solutions which we then implement. We serve the whole of the supply chain. We are IT specialists and troubleshooters. ... or contact us via email or phone!